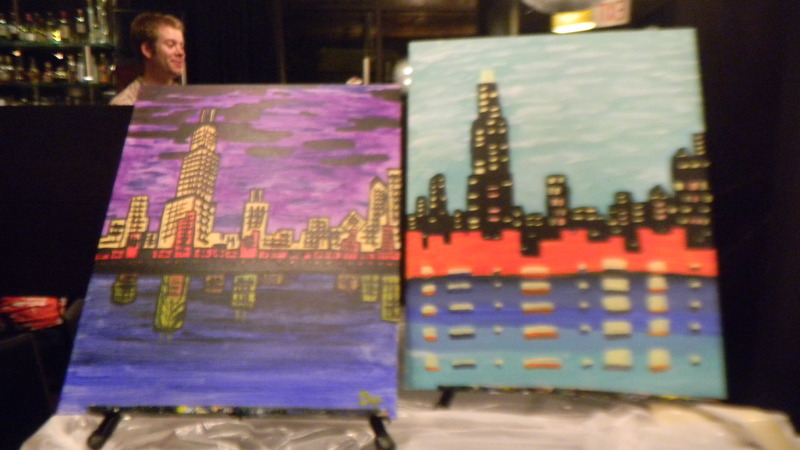 Continuing on with the posts about my birthday weekend, on the day after I turned a year older, we went to a local bar to learn how to paint a picture. 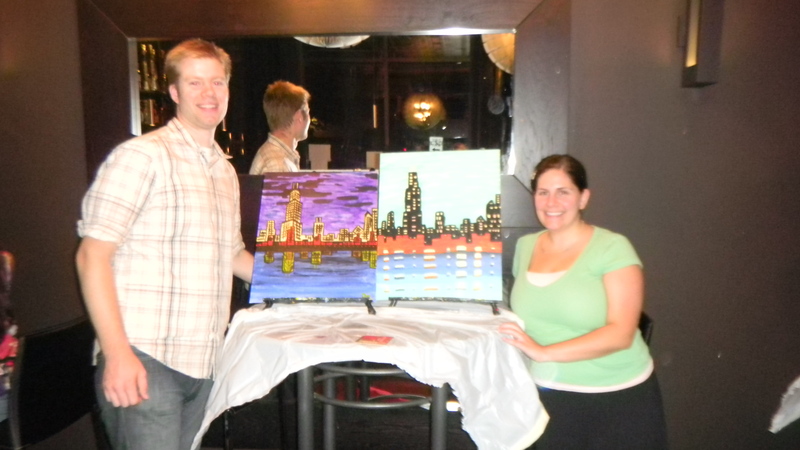 I wish I had taken more of the “during” photos, but here’s Dan and I with our finished works of art. I think it’s interesting that we started with the same landscape, the same sample painting (our teacher’s), and the same set of instructions, and we created two totally different paintings. It was fun, but I don’t think painting is my thing. I definitely had no idea what I was doing, and even got a little stressed when the instructor told us what to do next, and I had no idea how to attempt to execute the direction. Clouds are just not as easy as they look. In the end, I would do a class like this again. It was a good thing to try something new, and going with your hubby or friends always makes an event more fun. For now, until I figure out what we should do with them, our paintings are hanging out in the dining room on top of our bookcases. 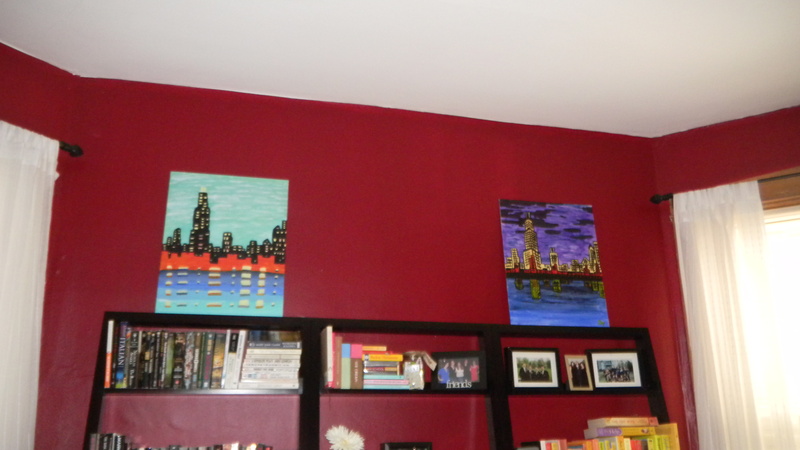 Perhaps we’ll take a poll to see which one’s better, and that one can have a more prominent spot in the apartment. Can’t wait to see them in person. I think you both did great. Thanks! You can see them very soon – on Sunday!